As much as you may hate him, New England Patriots star QB Tom Brady is very good what he does. Perhaps even the best to ever play the game. One reason for his success is his stringent health regime that has kept him playing so well into age 40, well enough to put the Patriots in position for another AFC championship and ticket to the Super Bowl with a win this coming Sunday. In fact, he is obsessed with his health, with so many nitty gritty details that apply specifically to maintaining football shape. But out of all of these health practices, the one that I found pretty interesting, was the fact that Tom Brady drinks a lot of water! Like 14 glasses of water a day (a glass is typically considered to be 8 ounces, which is how we are referring to it as well). And that’s only the minimum! He sometimes drinks as much as 37 glasses of water in a single day!!! It should make sense that we all need water, simply because our bodies are mostly made up of it! About 60% of our bodies are made up of water. We need water to carry out many of our body’s chemical reactions, not to mention flush toxins out from our bodies through urinating, defecating and perspiring. In fact, staying hydrated plays an enormous factor in your overall energy levels throughout the day, in addition to your overall brain function. In other words, water literally affects your overall functionality in ways that no other factor comes even close to! Even just a little bit of dehydration can have many negative effects on your body. Studies have shown that such instances of dehydration cause not only decreased concentration but decreased overall mood as well. But it doesn’t stop there. Simply being dehydrated can cause you to have issues with memory and brain performance. No matter how you look at it, water is essential for helping you be your best on a consistent basis. In addition, water has a lot more nuanced functions in your body that you may realize. For me personally, the biggest reason that I drink water is to help keep my skin looking healthy and beautiful! The look and feel of your skin is noticeably smoother and fuller when you are always well hydrated. If you currently aren’t hydrating enough as is (we’ll explain how much is “enough below) then try this experiment: take a picture of your skin (ideally of your face) as it currently looks and make a concerted effort to drink more water every day. Do this for at least a week and then take another picture of your skin. As soon as you compare the two pictures you will see the huge difference in complexion and overall beauty. In a world where beauty is so coveted, taking advantage of something as simple as drinking water gives you a competitive edge to looking more beautiful than your peers. 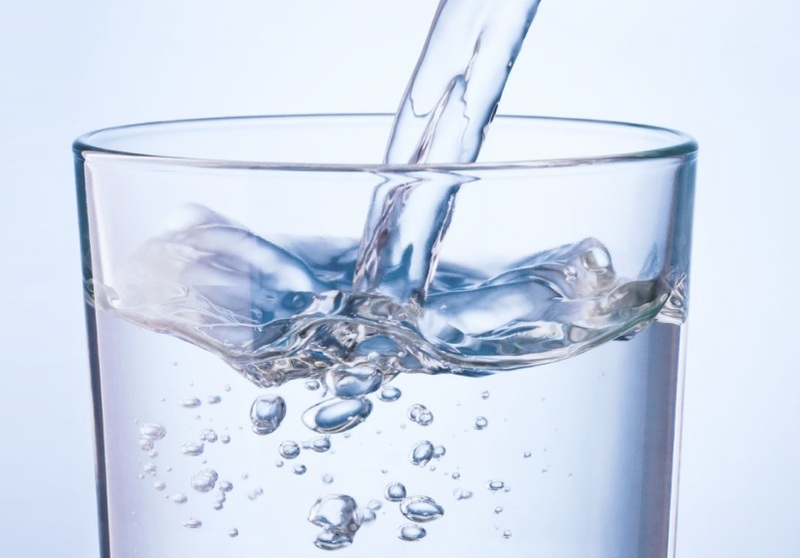 Another great benefit of water that can also be leveraged for someone who is particularly concerned about their body image is that water helps promote weight loss. The biggest reason that water works to help you lose weight is because water can act as an appetite suppressant. By drinking plenty of water throughout the day, it fills your stomach up to a certain extent, which will make you feel full at meal times, even though you’ve literally consumed zero calories. Anyone who knows the basics of calories and weight loss knows that if you start to take in fewer calories than normal (without changing your activity levels), it will lead to weight loss over time. This is precisely what drinking a lot of water can do if done consistently, especially right before meals. If you get headaches often, then water can also help you treat said headaches effectively. The simple reason that water works to cure headaches is the fact that headaches are largely caused by dehydration. And so simply by drinking water you can help get rid of a lingering headache. Or by simply drinking more water and a more regular basis, you can prevent headaches from happening in the first place. In fact, water is also a great remedy for preventing or relieving back pain and cramps, both of which are largely due to dehydration in the same way as headaches and migraines are. The absolute best thing about water though? It costs basically nothing, if not totally free. Even if you prefer purchasing your own bottled water, it is still one of the cheapest things you can buy for consumption. So not only are you getting all these amazing benefits, but you are getting them at an infinitesimally small price! So how much water should you be drinking every day? Adult men should drink 13 ounces (104 ounces) every day, and adult women should drink 9 glasses (72 ounces). Also note that women who are pregnant should drink 10 glasses (80 ounces) while women who are actively breastfeeding should drink 13 glasses (104 ounces). These are obviously just guidelines, but you should always be shooting for these numbers to maintain good overall health. The only downsize? Frequent trips to the bathroom, which can admittedly be inconvenient at times. But it is undoubtedly worth it based on all the benefits that water provides for maintaining a healthy lifestyle. The sad part is that so many people do not realize how important water is, which is exactly why I am writing this article today – to advocate for generous intake of water every day! If you can’t find the time to exercise or take any other active steps to improve your overall health and wellness, at the very least, drink water. And lots of it! Your body will thank you for it, even if you don’t explicitly realize it!